The Fourth Estate has a vital part to play in the development of the Pacific, argues journalist and media educator David Robie. 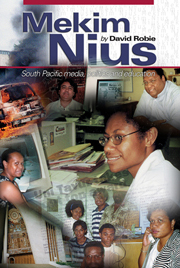 As the watchdog of democracy, the news media in the South Pacific plays an important role in nation-building. This is no easy task in a region where journalists regularly come under attack from governments. veteran Pacific affairs journalist and media educator David Robie says education is vital for journalists to face these challenges. 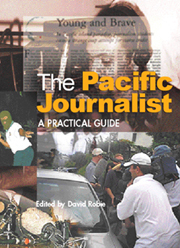 In his new book, Mekim Nius: South Pacific media, politics and education, Dr Robie detials the history of journalism training in the Pacific and argues journalists need to be educated and professional to fill their Fourth Estate role. Whiled in New Zealand it is taken for granted that the majority of journalists have a tertiary education or extensive on-the-job training, Dr Robie's research found almost half of the journalists in Fiji were high-school leavers with no training. Coming from an education system which does not encourage people to question authority", this is a concern, he says. Media orgabisations in Fiji have been happy to rely on short vocational courses funded by foreign donors. Dr Robie says this approach has problems. "In my experience, most of the donors are very well meaning but they tend to drive the agenda." 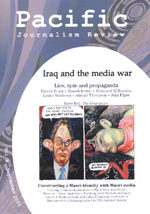 Mekim Nius also analyses the political, economic and legal frameworks in which the Pacific media have operated. In explaining the events of the past 30 years, Dr Robie draws on his own more than two decades of journalism and education experience in the region, interviews with key players and research conducted for his PhD thesis. Since launching Mekim Nius in Fiji in December last year, Dr Robie says he has had a lot of positive feedback from individual journalists around the region. "The problem that I've talked about is a systemic thing. Many individual journalists are very courageous and do an excellent job." Motivated by the fact that there is only a small body of literature on the Pacific media, Dr Robie hopes his work will stimulate more research. "Arguments over the media in the Pacific have been based on emotional arguments with no statistics and hard facts," he says. * Dr Robie is a senior lecturer in the journalism programme and diversity and publications coordinator at Auckland University of Technology's School of Communication Studies.